Brandon Lay is one of country music’s hottest risng stars set to take the country music scene by storm. Raised in Jackson, Tennessee, Brandon was a keen sportsman but chose to make the move to Nashville to pursue a music career. 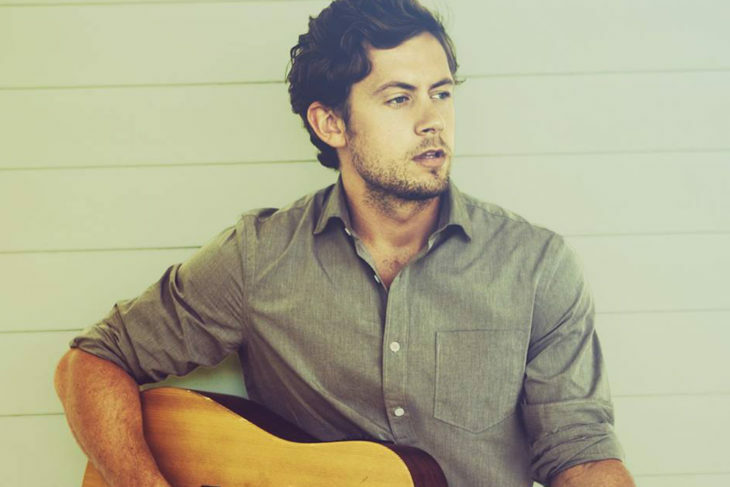 Writing about his experiences and more, Brandon was soon signed to EMI and has released a few tracks via the label such as his debut single Speakers, Bleachers and Preachers which included B sides of tracks Break Down on Me , Wilder Horses and Let It. 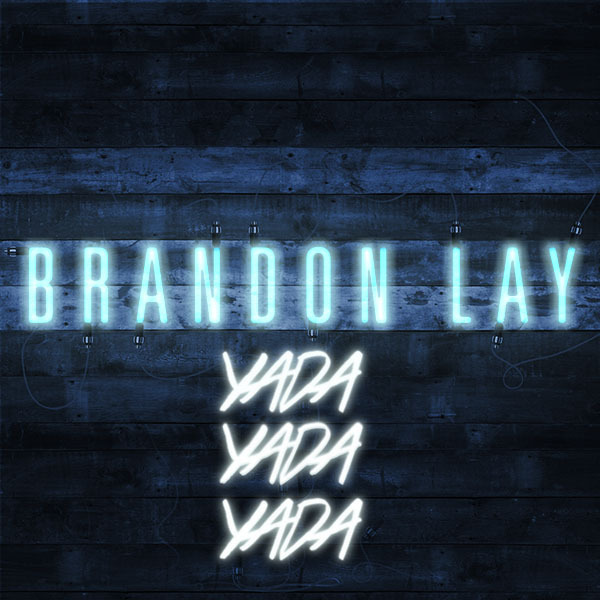 More recently, Brandon released his current single Yada Yada Yada which he wrote with Mikey Reeves and Heather Morgan. Brandon has been out on the road supporting Kenny Chesney as part of his Trip Around The Sun stadium tour. 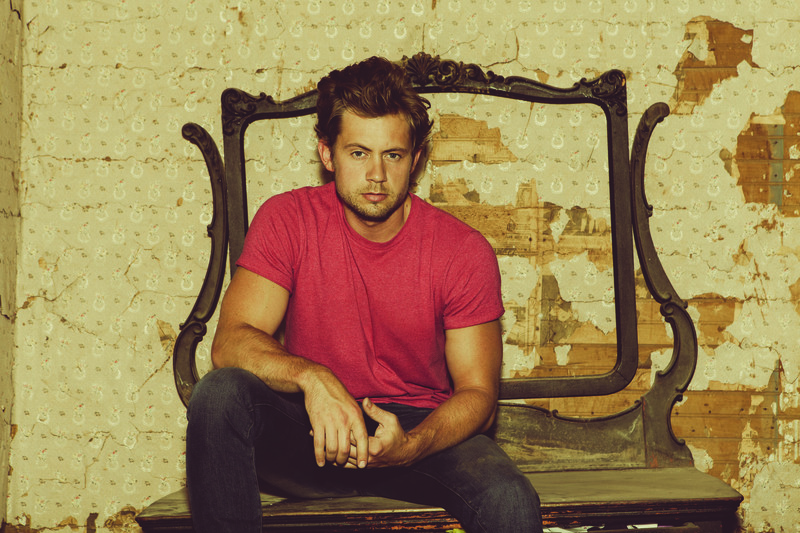 We caught up with Brandon to discuss the story behind Yada Yada Yada, touring with Kenny Chesney and more. Hi Brandon how are you? How has your week been? I have been great, it has been a fast week, busy. Tell us a little bit about your background and what made you want a career in country music. I grew up in West Tennessee, right between Nashville and Memphis. My home town is Jackson and guys like Carl Perkins, Johnny Cash and Elvis used to tour a lot around my hometown. My parents, my mum in particular was always singing and playing all different kinds of music and I just kind of gravitated towards country at an early age – I used to watch a lot of CMT over here and tried to emulate what I saw on tv. I used to play a lot of sports, my first love was basketball but at college I shifted gears and put a band together. Tell us about moving to Nashville and signing with EMI? When I graduate college I moved to Nashville and my sister was teaching kindergarten at a local school and she had an empty room. I lived with my sister for two years and I would go out every single night of the week and play open mikes and meet other songwriters. I would write during the day and play every night and I did that for about four years and then I signed a publishing deal, I signed with Warner Chappell to be a songwriter and at the same time I was going out to play to try and develop a fan base and about four years after that I signed with EMI. They (EMI) happened to come out to a show at the Hard Rock Café during CMA Fest and that is what eventually led me to my record deal. Congratulations on the success of Yada Yada Yada – tell us about the writing process behind that song. Thank you. Sometimes the idea of a song comes first, sometimes, the melody, sometimes the writing – I was driving back home from a gig and I had the melody in my head so I put it in my voice memos and I kind of used Yada Yada Yada as a dummy lyric, a filler if you will and figured that we would take the melody and write to it. I brought the melody in to my co writers the following week (Heather Morgan and Mikey Reeves) and they liked the title (Yada Yada Yada) as that is what I had it in my IPhone as so that is what we ended up calling it and we wrote the song around the title. Well it is certainly a page leaping title if you will, it does grab your attention and make you want to listen to it. It was the number one most added country song on radio last week? It was yeah. As you know, it takes a village to get something like that done so I am very blessed with having a great team to work with. Speakers, Bleachers and Preachers – that is classed as an autobiographical song right? Tell us a bit about that? That was my first single to country radio and was really an introductory to me as an artist. The song says so much about being where I come from very literally and it was cool seeing people connect with it no matter where they were from. Moving on then to Yada Yada Yada, I think the reason we chose that was because it is almost the polar opposite of Speakers, Bleachers and Preachers. I really wanted to show a different artistic avenue if you will but there is a lot of lyrical content in Speakers where Yada is not necessarily meant to move the earth with its lyrical content. Speakers was a good introductory to me to get people to hear about where I came from. What has it been like touring with Kenny Chesney? How did that come to be? I got a call from my manager who said Kenny liked what I did and thought that I would be a good opener. Growing up a big country fan and a big Kenny fan had a lot to do with the music that I write so I was very honoured that he first of all heard it, much less that he would like it. So he invited me to open his stadiums this summer and it has been surreal to be honest with you. Not only are we opening but I get to hop up on stage with him and close the show out every night which is a really exhilarating experience – I don’t take any of this for granted. What have his audiences been like? Oh my gosh yes, incredible. Every show more and more people are arriving early to catch our set and I am so thankful that people are digging what we are doing and we are trying to bring the part because Kenny’s shows have so much energy around the whole day – people are tailgating in the parking lot and then they are coming in and hearing all the bands, us, Old Dominion, Thomas Rhett and then of course Kenny. His tour is really like a vacation experience. What is the first show you have ever been to? Well actually my first ever show was actually Kenny Chesney ironically enough. Kenny came to my home town in 2001 and that was the first concert that I went to of any genre and it really changed my life. Fast forward a few years and I get to kick off his tour so it is pretty crazy. Are you working on an album, if so what can we expect from it? Yes I am. I thought I had been done with it a couple of times now and we turned full projects in and thought case closed but you know how that can go. It’s going to cover a lot of ground and I can’t wait for people to hear it because some of the songs are six years old and some of them are six months old. It took a while to narrow it down to 11 or 12 songs but I am so excited to share it with the world. Are there any songwriters you would like to work with that you haven’t worked with yet? I have been very fortunate, I have gotten to write with the best in town and I have really learned a lot from the more established writers but two guys I grew up listening to as artists, David Lee Murphy and Rhett Akins, I was a big fan of theirs in the nineties and I get to write with those guys pretty regularly which is surreal. Like with the Kenny tour, if you had told the fourteen year old me that I would be doing some of this stuff, I definitely wouldn’t have believed you so I feel very blessed. Jon Pardi, I really like what he is doing. Any plans to come over to the UK ? I would love to, it’s fun to correspond via twitter with my English friends so I hope we can make it over there soon. I have buddies that go over there and do shows and I have heard nothing but great things. Well we would love to have you so I do hope you visit soon. Thank you. This tour with Kenny ends in September so it is kind of perfect timing. Hopefully Yada will continue to have some success and I will be able to release my album and fill all the chapters. Thank you so much for talking to me today, I very much appreciate it.